See The New Testament Come to Life with Paul, Apostle of Christ is part of a campaign with LEV3L. All opinions are my own. Movie images in this post were used with permission. Lent is ending in a few weeks and this is a great opportunity to dig a little deeper into Scripture as we prepare our hearts for Easter. I am still digging through short daily readings to help guide me this Lent. However, I also like to add movies or TV productions that fully embrace the faith as well. Paul, Apostle of Christ is one such film that I have put on my calendar to enjoy when it releases in theaters on Friday, 3/23/18. 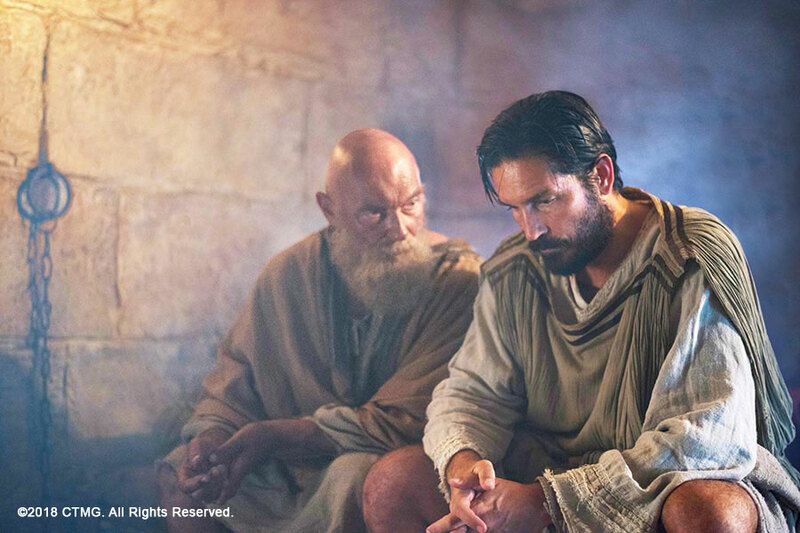 You can pre-order tickets to see Paul, Apostle of Christ now. After watching the trailer multiple times as well as a few segments I was provided, I can honestly say that I am excited to see this film. As much as I gain from reading Scripture, there is something so powerful about seeing it brought to life on the big screen. I was blown away by Jim Caviezel in The Passion of the Christ. Seeing he was starring in this film definitely got me interested at the start. He and the other cast members provide a wonderful portrayal of this historic figures who have had such an impact upon Christians for thousands of years. While digging around the movie site, I found a page of audios/videos narrated by James Faulkner that allows you to journey through the Letters of Paul during Lent. Several are unlocked while others will be available as Lent continues to progress. I highly recommend checking it out. With Easter just a few weeks away, this film is really timed perfectly for people to visit their local theater and be inspired. Through the film, you will be immersed in a story of the last days of Paul’s life and Luke’s hand in writing the Acts of the Apostles. One lucky US reader will win a set of Fandango codes to see Paul, Apostle of Christ in theaters. Entries are accepted through the Gleam form below through March 19, 2018. Do you enjoy watching Bible-based productions such as Paul, Apostle of Christ? 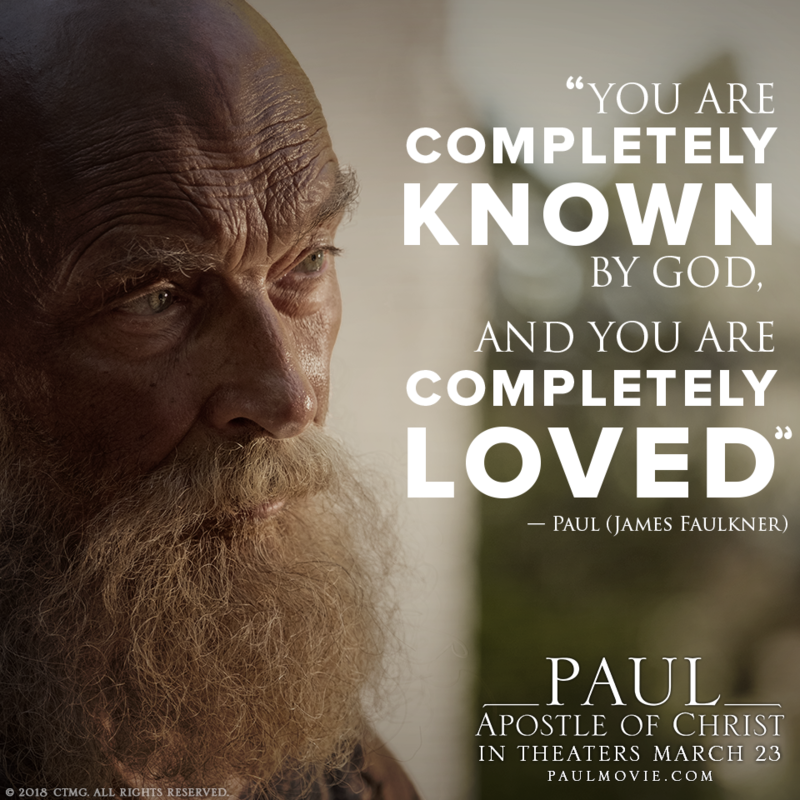 If you win the 2 tickets to see Paul, Apostle of Christ, who will you take to see the film? my husband was just wanting to see this! I am hoping to get my husband to see it with me, although he is not a fan of movie theaters for the volume. It does look like a great film for couples to watch. I do enjoy seeing Bible based films and if I win I'll take my best friend. I bet your friend would be thrilled, Annette? Not sure why it didn't work. I was able to fix it on my side so you're main page is linked. I am definitely looking forward to it. Just deciding who my 'date' will be when I go.